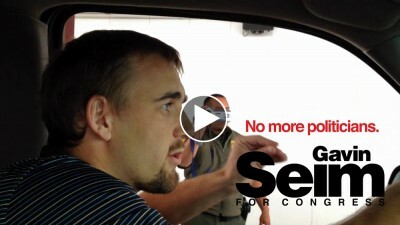 Tips from a Congressional Candidate for Filming Goverment! Now this is odd. A US Congressional candidate talking about filming encounters with police and public officials? I’m Gavin Seim. See the reason most candidates and officials don’t take these things on is it’s safer to do nothing. It’s politics. But I don’t run things that way and communication comes first. The fact is any public official who does not uphold the Constitution needs to be removed from their position and replaced. That’s our duty as a self-governing people. That’s what the framers intended. So lets hold them accountable. In this day the greatest weapon for liberty is perhaps the camera. I have personally had a good many encounters with officers and officials. Representing liberty first hand is what begin my deeper understanding of America. It’s the conversation I’m always trying to start. It’s in part what prompted me to run for Congress. Encounters like these ones in Ephrata and many others I post on my YouTube channel helped me understand why we need to stand and how much freedom we’ve let slip. This morning I watched this neat video of Jeff Gray calmly refusing to stop recording different officers. It’s harder than it looks, but the feeling of standing up for liberty cannot be compared to anything. It’s something I plan to keep doing when elected to Congress and that I intend to help others with. Representing liberty is the job of every American and even more so our elected officials. I take that very seriously. Using cameras we can keep the conversation moving and protect ourselves in uncertain encounters. So having dealt with many encounters first hand here’s a few things I wanted to share. Because tomorrow it could be any one of us..
#1. You should ALWAYS have a camera with you. #2. If possible password protect your phone (camera) to prevent deleting. #3. You CAN almost always record encounters no matter what officials say. #4. Always boldly record, don’t get in their face, stay calm and stop to breathe. #5. You WILL be nervous. Stay calm and do NOT stop recording despite intimidation tactics. #6. Don’t lose your cool. Talk to the viewers, talk about the Constitution, why you’re recording. #7 You do NOT have to answer ANY questions. Try asking questions, or simply ask if you are being detained. If you are free to go. It’s worth noting that the tension and shaking does not usually stop. Remember that an officers favorite tactic is to throw off your groove. Even in a simple traffic stop. They will bring up how you are shaking or ask things like “is something if wrong with you”. Don’t let it rattle you. breathe and stay calm. The dirty little secret is their groove is just as easy to throw off as ours. Stay confident and give some groove right back… “are you shaking officer, you look jittery, have you had a medical exam lately?”. Understand that we don’t have to shout or be nasty. We patriots need to keep the moral high ground. But politeness against an aggressor does not mean pandering or playing along with unprofessional behavor. Not only can you record. Generally you don’t have to give ID. If it’s a traffic stop yes, if they genuinely suspect you of commuting a crime, likely. But I have no problem telling an officer I will NOT show them any ID. That’s what happened in this video. It’s not about knowing every silly law they make up. It’s about knowing the Constitution which is the “Supreme Law” that overrides the others. You can also live stream using an app like Ustream and it’s great to have a wing man with a second camera. It’s also a good exercise to watch videos of other encounters. That feeling you get in your gut, that tension. Get comfortable with it because it comes on strong when you are in an encounter yourself and you can actually practice staying calm by watching other encounters. It never gets easy, but it gets easier. Don’t let the adrenaline freak you out. It’s always there. Stand on principle. It’s important to remember that we the people are the masters and our officials are servants. We have a Constitution that is the “Supreme Law” that we placed on government. The 1st amendment says we can speak and we can protest. The 2nd amendment says we can indeed carry our guns. The 4th amendment says no detainment without probable cause or warrant. This law supersedes any lawless legislation someone might have made up. All legislation that violates the Constitution is VOID! America it is our right and our duty to hold our officials accountable. To protect our families and our neighbors from criminal government actions. The legality of recording them has been affirmed again and again. I don’t even go to the post office without a camera in my pocket. You never know when you’ll need to protect yourself with a recording. Keep that camera handy, practice recording situations and stops when you get the opportunity. Good officers will not mind being filmed. And the bad officers, we have start exposing and educating. We must start removing bad representatives and officials from every office to start weeding out the tyrants from our system. I’ll close with this encounter I had at a checkpoint in New Mexico. It’s lawless stops like this that we must oppose. It’s time to learn the law of our land and start working to enforce it. Remember. Liberty is not the fringe. Liberty is the foundation. I am a *whistleblower re: state-federal corruption-all legal documentation in congress w/John Boehner ,U.S. Reps. ecetera -re:racketeering/RICO violation.! i have long been cont. stalked-harassed- intimidation tactis-spy tactics -invasion of privacy, …i worked as nurse 4 veterans affairs many years, *bilked out of $-house-home-family tremendous loss due 2 their intentional allowed malpractice, *neglect*ignore All documentation w/attorney *Rosemary Arnold of New Jersey and Attorey Kathleen Nastri of Bridgeport,Ct. – *All Senators and U.S. Reps. in Rico violation *illegal activity- aiding and abbeting- cover and protecting -*Obstruction of Justice- ALL CONGRESS needs to be made ACCOUNTABLE. US Rep. Darrel Issa-house oversight commitee has my most recent *documentation. -harassed per NSA, secret service and ALL *lawless authority cont.- and Government vehicles and persons everywhere. **governors, atty general-*now Senator Richard Blumenthal- Gov. Daniel Malloy *broke the LAW. and State Police commisioner Reuben Bradford and named U.S. reps. notice of *intent to file liable suit- they *pay 4 my attorney- due 2 racketeering involved.!! Whistleblower in Ct. Christina MacNeal -18 Navajo trail, East Hampton, Ct. 06424 ps- im the reason why they started *the healthcare act, because they tried to *Get of *trouble!! Ct. democrat us rep Linda Orange involved in serious criminal wrongdoing along w/other fm u.s. rep Joe Courtney and others.